Tropico is coming to iPad as a premium game! What separates Tropico from other political sim titles is the humour, which is certainly what attracts me to the series. And I’m actually quite excited about the iPad release; Feral is trustworthy (it has brought titles such as Life is Strange and Total War: Warhammer to Mac OS and Linux) and Tropico for iOS has been redesigned and developed for the iPad from the ground up. That means the touch controls and interface should make sense, unlike some other mobile ports. Tropico 6 is also coming soon, so get your... what does one get ready to run a Caribbean island? Coconuts? Get your coconuts ready! 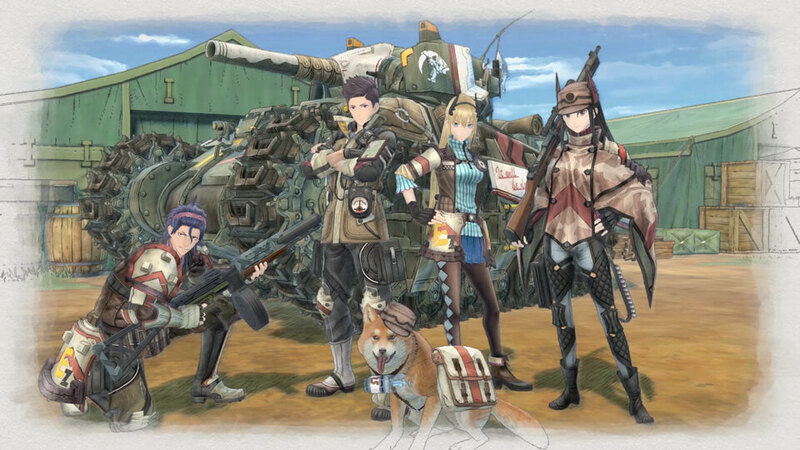 We’ve got a release date for Valkyria Chronicles 4! Whoop whoop! Okay, so the last game in SEGA’s Valkyria series wasn’t to everyone’s cup of tea (though we sure did enjoy it). Despite that misstep, SEGA is promising fans that Valkyria Chronicles 4 will be a glorious return to everything that made the original a genuine masterpiece, and now we know when we’ll be playing it! The date is September 25, on PlayStation 4, Nintendo Switch, Xbox One, and PC (so, basically no one misses out). There is also a bevy of bonuses and various premium editions; be sure to talk to your local game retailer if you’re into that stuff, because it varies from nation to nation. The game features the same hand-drawn aesthetic as the original Valkyria Chronicles, and actually takes place at the same time, only in a different part of the world. It also has the composer of the incredible score back to provide the music (Hitoshi Sakimoto). Hopefully the game also features the compelling anti-war narrative and stunningly intricate tactical action. In the news last week because of its presence at Xbox’s E3 briefing, Harold Halibut has again caught our attention by partnering with Curve Digital to bring the game to PCs and consoles in 2019. Harold Halibut promises to bridge analogue and digital art, using handcrafted models and puppets before bringing that content into Unity to create the final product. It is developed by Slow Bros. as its first full-length title. In the game, a janitor on a submerged, crashed ship is recruited from one of the lead scientists to learn about the planet on which they live. Groove Coaster from Taito has been one of the best rhythm games kicking around for a while now. It started life as a humble game for iPhone but quickly found itself as something of a phenomenon that grew to the point that there’s now arcade games and all in Japan. And now it’s coming to PC, courtesy of Degica Games, on July 17. This version of the game will feature 36 original tracks (and this series picks the most awesome music), with more to be added via DLC on a monthly basis. The game will feature neat features like keyboard play support and a new non-stop mix mode, which is ideal for a Friday night late night gaming session when you’ve had some beers and just want to kick back and trance out. Best of all, a game of this sheer quality will only set you back $19.99 USD.